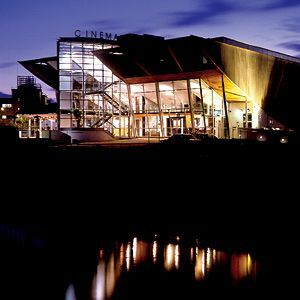 Harbour Lights Picturehouse shows a mix of new releases, art house and classics, with several regular film clubs catering to specific audiences. With a gallery and bar overlooking the marina in Ocean Village, this three-screen cinema is the perfect setting for a relaxing evening. All areas of the building are accessible by wheelchair, with low level Box Office desks for the convenience of wheelchair users. Adapted toilet facilities are available. Parking spaces are available next to the cinema. Southampton Central is the closest train station to the venue and is a 30 minute walk away.